In short order, Susanne became a chicken breeder, goat wrangler, shepherdess, home school mom, donkey whisperer and fence repairer. She has delivered stubborn lambs, ran from determined cows, and everyone at the post office calls her the Crazy Chicken Lady due to the number of chicks she has shipped and received. In addition to chickens, the farm is home to cows, donkeys, guineas, ducks, cats, Barbados sheep, miniature Babydoll sheep, three Great Pyrenees and a pet goose named Walker. Susanne is the author of the best-selling Pip! Zip! Hatch! Love! 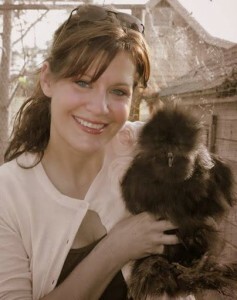 and Wooly Meets The Chickens: Book 1 of the Huckleberry Farm series. She is also the author of the upcoming Piper Periwinkle™ books. Having a farm and raising animals leads to a lot of funny and sometimes sad situations. My friends would always say, “You need to write a book about that!” So I am. My first books were inspired by the animals I care for and love and by the beauty that I get to wake up to every morning. And I just enjoy writing. Going from an idea to an actual story is an amazing process. My writing process primarily involves sitting in a rocking chair on my front porch with a hot cup of tea and a pad and pencil. It is quiet there, and I can listen to the animals going about their daily lives. I have found I am much more productive physically writing rather than using a keyboard. And I don’t have the distractions that come with sitting at my computer! I like to let my characters live in my head for a little while before I put them on paper. It’s easier to get to know them that way. I put them in situations in my mind and see how they react and what they do. Then I start writing. The number one piece of advice I have is to start writing. Don’t just think about writing. Do it. And see what comes out! Look around you and find a person or situation that could be the basis of a story. Even a very small idea at first can become an amazing story. But you have to write it down! Also, keep a little notebook with you and jot down any ideas or dialogue that come to you. So many times a great idea would come to me, and I didn’t immediately write it down. And then it disappeared! Now I take notes. I did a lot of research on traditional publishing and self-publishing. There are pros and cons to both, but in the end, I decided to self-publish and started my own publishing imprint. I have more control over the whole process, and it is a lot faster! I can write whatever I want. I love the flexibility of self-publishing. I am excited about the future of publishing! I’m still in love with actual physical books and always will be, but I am starting to enjoy reading books on my IPad. Readers now have instant access to so many more books, and those books are much more affordable. That benefits both authors and readers. It’s also much easier for authors to publish their works now. I have discovered some fabulous self-published authors that I might never have found a few years ago.